And that’s why creating a digital campaign for Healthy Paws Pet Insurance is so exciting! Healthy Paws recently partnered with Universal Studios for the upcoming release of The Secret Life of Pets. 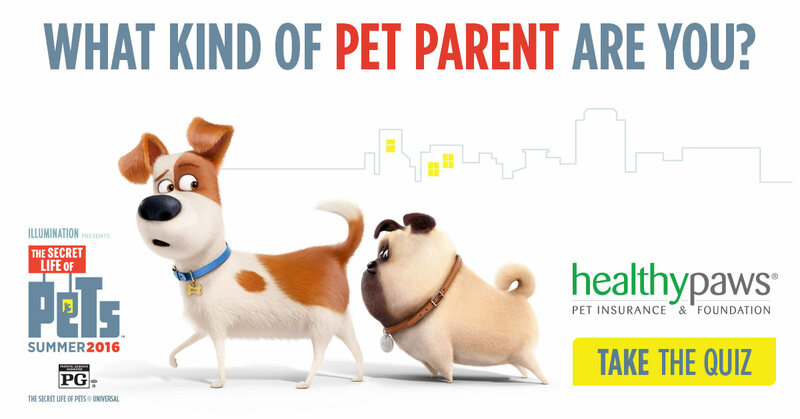 To leverage this partnership, we developed an interactive game that explores the pet and pet parent relationship using the characters from the movie The Secret Life of Pets. The campaign is rounded out with a sweepstakes, email campaign and other online content from The Secret Life of Pets. Healthy Paws helps pet owners protect the health of their animals, and that caring attitude is at the center of everything they do. So what kind of pet parent are you?